Albert Camus penned an exploration of the absurdity of life titled The Myth of Sisyphus. In it, Camus examined the essential absurdity of life (that we look forward to tomorrow even though tomorrow brings us closer to death). One of the 4 chapters of the book covered the Greek myth of Sisyphus who was consigned to punishment in the underworld of rolling a boulder up a hill until, right before he reached the top, it rolled back down. Forcing him into a perpetual punishment of never completing his hellish task. Camus essentially argued that, despite the unceasing toil, Sisyphus would actually be contented because he recognizes the absurdity of his fate and is thus able to reach a state of acceptance. This is similar to the theme found in many religions in which the acceptance of death is the precursor to satisfaction in that it removes all vanities so that one can focus on the joys of life. We each need our mindless task, a continuing struggle that makes us confront our vanities and fears. This is not a call to sink into negativity but, rather, a call to action. Mine is kendo, specifically suburi and hayasuburi. In my daily practice each swing is done fully with as much as focus as I can muster until I can almost smell the wood of the shinai or bokken and the sound of the strike. Mindfulness is all the rage right now with studies showing that living fully in the moment and being aware of your surroundings and body drive the right behaviors in terms of nutrition and stress reduction. More importantly, being mindful opens you up to your immediate surroundings and enables you to see more broadly and deeply. In a stressful situation, being mindful allows you to see details that you wouldn’t if you are overwhelmed and in tunnel vision. Being mindful also helps you avoid those situations! This also includes non-public safety situations like tense meetings, aggressive co-workers and managers, etc. Frankly, being mindful during the job interview process will reveal those issues and allow you to make the right decision. Being mindful essentially allows you to say “no” to negative experiences. It empowers you to live the life that you want. Using the lesson plan from GymJones (no equipment) I’m starting to feel more strength and energy as I did when I was doing CrossFit. I’m also incorporating a basic breathing exercise, adopted from by free divers, called Kapalabhati (it is a system with 50 different exercises but exploration would require a qualified instructor). On Friday I did my lesson plan and then went to kendo which really pushed me to the edge. By the end of class I felt as if I was walking submerged in water. I felt depleted physically but, on a deeper level, I felt good. Saturday was a rest day and then Sunday was, Hotengahara. If you’re not sure what that means, Hotengahara is an arid plain that, in Eiji Yoshikawa‘s fictionalized story of the Japanese sword master Miyamoto Musashi, in which the famous swordsman spent two years working as a farmer, trying to master the land as part of his physical and spiritual training. Historically, Musashi, did work the land for two years but no one knows anything beyond that. So my Hotengahara was spending all day Sunday clearing my yard, digging up the soil, planting, and breaking down old furniture. All under the sun and without proper hydration. By the end of the day I was done and done. Tired, muscles aching, dried out, and mentally fuzzy. I drank water, had a great curry chicken and went to bed early. Today I woke up and felt great. Physical development requires breaking mental barriers. You need to both feel and *know* that you have broken through and progressed, even in a small way. For that, I have my own little Hotengahara to thank for that. David Katz posted a poorly-edited and even more poorly-thought out essay in the Huffington Post. Worried amount the mounting evidence that his line of thinking is incorrect and responding to the success of Nina Teicholz’s new book, he posted his thoughts on Huff Po. Here are my initial thoughts to his screed but the comments section of the post is quite good as well: “So we might ask the question: if Atkins had the truth for us in the 1970s, why did we need a diet revolution in the 1990s? And if that revolution in the 1990s, which reached tens of millions in the early 2000s was really the answer — then why are we reacting to the same dietary déjà vu all over again in the Wall Street Journal as if it were some kind of epiphany?” Answer: while Atkins came about then, vested interests had a lock on information and legitimacy. Only in the 90’s, with the advent of the internet, were alternate ideas introduced en masse. “We are flying in circles. If we had reduced our intake of meat, butter and cheese by eating more vegetables, nuts, fruits and legumes — we might be living in a Blue Zone by now. But we didn’t and we aren’t. We just started eating more starch and sugar.” Answer: Exactly. It is the consumption of sugars and grains that accelerated the obesity epidemic. It is very telling that meat consumption did not increase but that obesity did. He ignores his own logic. “After all, if our meaty, cheesy, buttery diets had been making us lean, healthy and happy in the first place — why ever would we have changed them? Answer: It started with the Kellogg company, whose founder felt that sexual desire was a bad thing and saw a correlation between high energy sexual behavior and consumption of meat. To combat “immorality” (a major issue at that time and also the time of the suffrage movement and the start of Prohibition politics by the way) he introduced a line of grain-based products which, unsurprisingly reduced said activity. Kellogg is famous for claiming that he had no sexual desire on his wedding night (poor Mrs. Kellogg!). Fast forward to the post-war period, when agricultural companies had a surplus of grain products due to wartime over-production. They co-opted the government into making grain the bottom of the infamous food pyramid and that is when, from the 1950’s through the 1970’s, obesity and heart attacks began to skyrocket. “And — I don’t have a diet to sell. In fact, I am on record as asserting that no single diet is best — and that an optimal diet can be low fat or high, include or exclude meat, be lower or higher in protein, and so on.” Answer: So then, why are you attacking a specific diet later on in the article? Do people even edit their thoughts before hitting the send button…? Everyone hates being wrong but it is good for the soul when they ultimately recognize it. Hopefully the good doctor will be one of the lucky few. Being a kendo nidan is being a person just outside a window display looking in. Then again, that is probably the same for a kendoka at any level but I feel this most strongly now as I am just considering taking the sandan exam next year. Taking a self-inventory I find so much that needs to be learned and developed, though that is in itself a good thing. Looking inward and seeing nothing is cause for concern. 1. Reiho: how I carry myself, how my bogu is worn, and cared for. 2. Kiai: working on finding my true voice. A voice that is effective. 3. Sutemi: learning to open myself up in every way in jigeiko, committing to single actions with alacrity and purpose. Pushing through regardless. 4. Basics: continuous improvement of my footwork and the quality of my strikes. 5. Conditioning: building physical strength and stamina through exercise, developing my lower body and my lung capacity. With these 5 personal initiatives, I am confident that I will be in an advantageous position in 2015. 1. Buying new himo for my do, properly folding the hakama and, if necessary, actually ironing the hakama I use for regular training. 2. Committing to a real kiai, not just clearing my throat and exhaling. Directing my kiai to my opponent and, when striking, making it clear and loud (as per my sensei’s instruction). 3. Thinking less of hitting but, instead, hitting with purpose and commitment. Be willing to be hit and not reacting emotionally; making each strike a true combination of my will and my body. 4. Focusing on posture, tanden, ichi-byoshi, and fumikomi. Slower but better has the advantage over faster and sloppier. 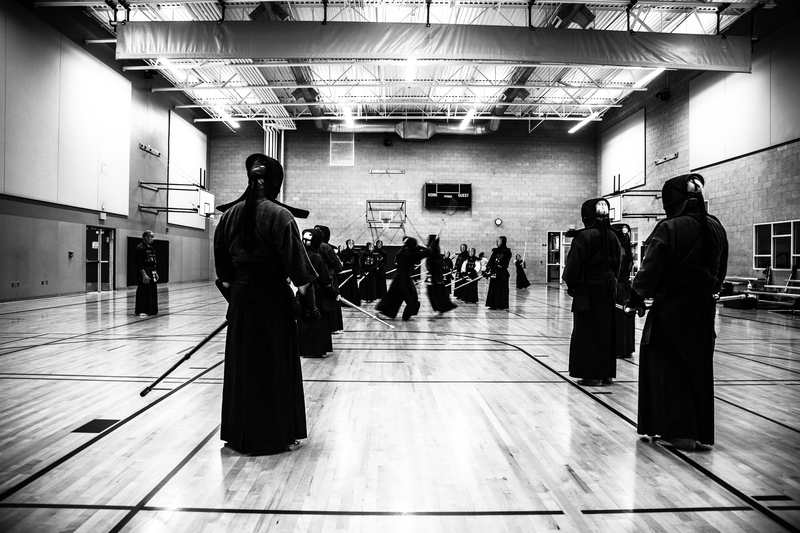 Kendo is a marathon, not a sprint. 5. My program of heavy bag work, kettlebells, and the training from the NYC Ballet will provide a good basis for the above 4 details and the above 5 areas of focus. Finally, I will explore my artistic side. My skills are rudimentary, but I enjoy writing and calligraphy (Western and Asian) and I will explore that with greater effort. I was chatting with a co-worker and she told me about her experience in equestrian sports and how, as a rider, her goal was to connect with the horse in a symbiotic way, allowing her to direct it. The connection with the horse required that she would be sitting with spine straight, head and neck in neutral position, abdomen and legs taut and engaged but hips flexible enough to roll with the movement of the horse. If that sounds familiar to people in kendo, it should. My sensei said that good and correct kendo is done using the body as if one is riding a horse. Spine is straight, chin tucked in, lower back and abdominal muscles tensed and in use, allowing for smooth movement of the upper body. It is interesting to me how all of the traditional war skills of the past require similar body movements and concepts. For those not involved in martial arts or riding, the rules still apply, though. I recommend that anyone interested in knowing more about this should visit Kelly Starrett’s YouTube channel. Kelly is a medical professional and a CrossFit owner and he has a valuable series of videos on body movement and health. This video is a good introduction. Such a fundamental act and yet something that many people never consider. Functionally, the body’s demand for air causes inhalation followed by exhalation. The air allows for the release of energy via respiration. More here. In some forms of meditation one is taught to site erect and breathe in through the nose and then out through the mouth, with the belly and diaphragm doing the work instead of the lungs. In kendo this is taken a step further where one’s breathing is connected to physical movements; air being pushed out in time with footwork and strikes. Eventually, a form of “disassociated” breathing is attained with the needs of the body syncing the act of breathing with movement; thereby releasing a person to focus more intently and efficiently on their actions. 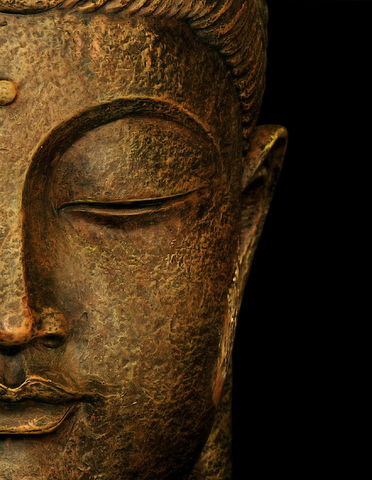 The simple act of mindful breathing, of just being aware of the sound and feel of breathing, provides one with a sense of comfort and awareness of themselves and their surroundings. Mindful breathing or meditation have been shown to reduce blood pressure and increase mental acuity. Breathing is a gift that should be appreciated!